Which brings us to the concept of “if you treat your business like a business, (meaning you schedule time to work ON your business every day and you keep it open more than it is closed, it will pay you like a business”. But if you treat it like a hobby, meaning you work when you feel like in your spare time, it will cost you like a hobby. Make sense? It costs money to golf or to put together a scrapbook – but if you do what you need to do now to build a profitable business, you'll be able to golf MORE and scrapbook MORE later. The first secret to building a business and not just a downline is to understand MLM MARKETING and MLM PROSPECTING is not the same thing. Prospecting pushes, and marketing pulls. Prospecting is where you chase people down and ask a qualifying question like “do you keep your mind open to money making opportunities outside of what you are currently doing”. It is you making the first outgoing effort in the HOPE of finding someone who may be interested enough to learn more. Marketing, on the other hand, is when you put together a message and get this message in front of new people on a consistent basis – and the message PULLS in those who may be currently interested in learning more at this time in their lives. In fact, according to the American Marketing Association, the AMA, the very definition of marketing is: “… the activity, set of institutions, and processes for creating, communicating, delivering, and exchanging offerings that have value for customers, clients, partners, and society at large.” So while prospecting may be part of your marketing plan… prospecting and marketing are two completely different things. Prospecting is when you doing the chasing (for example, you pick up the phone and call them) and marketing is when THEY do the chasing – when they pick up the phone and call you. And the bottom line to building a profitable business fast is you must, MUST master the art and science of MARKETING. Think leads. Leads are the name of the game and your goal is to build a list of people who have expressed an interest in learning more. The big money is always in your list and if you dig down to the root of any six-figure, multiple six-figure or even 7-figure “network marketing success” and you'll find a massive LIST a the base. In fact, the LIST YOU BUILD will be the most valuable asset of your business. Not everyone will be ready to do business with you now… but if you stay in contact with them over time and make it a point to provide value on a regular basis – many of these prospects will join your business or buy something from you later. Especially (and we'll talk more about this later), especially when you increase your inventory to also offer products, services and opportunities OUTSIDE and DISTINCT from your primary business opportunity. Provide high-value content to your target market so you can and will effortlessly attract those people most likely to get started now. Remember, marketing is the art and science of attracting or PULLING people into our process or funnel so they can learn more and the easiest way to do this is to stay tuned to radio station WIIFM – what's in it for me? What problem, challenge or situation is your perfect prospect currently experiencing that YOU can help alleviate. What are THEY looking for that you can guide them towards finding? Because you can literally have everything you want in life if you see to help other people get whatever it is they want in life. Give first, give freely and give often – and you will literally guarantee your success. Quick example. Let's say you are promoting a health and wellness opportunity. Most distributors will spend most of their time and effort prospecting… that is, literally chasing people down and make the first point of contact sound something like this. “Hey, Mr. 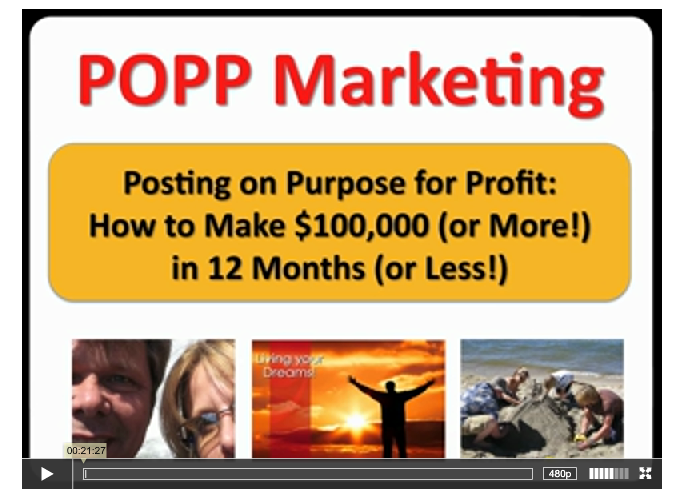 Prospect – want to make a bazillion dollars? Check this out.” and you will have to go through a LOT of people to make this work for you. It works, but prospecting can be a long, hard slow grind to the top. Better would be to create a strong marketing message like: “Do you need to lose 7 pounds in 7 days?” which is designed to PULL or attract those people who are, right now, indeed, looking for a solution to their current challenge. Remember, people do not care how much you know until they know how much you care and the easiest way to show you care is to help them out and offer VALUE. If you want to literally GUARANTEE your success in building a profitable BUSINESS (and not just a downline), the secret is to lead with “funded proposals” to create multiple streams of income so you get paid even when people do not join your primary network marketing opportunity. In fact, this model is most powerful when you lead with or sell anything BUT your primary opportunity! Now at first glance, this method may seem counter-intuitive because if your primary goal is to build your network marketing business, how does it make sense to not promote your network business? Right?! But keep in mind, if you really want to put the odds of success in your favor – our primary goal is NO LONGER just to build a downline. It is to build a profitable network marketing business and the easiest way to build a profitable MLM business is to increase the INVENTORY of the products and services you offer that can make you profit. If the ONLY thing you offer is your primary opportunity when a person sees your presentation and tells you NO – what do you have? Nothing. Absolutely nothing. Instead of leading with your opportunity, let's say you find a great program designed to help people who are already in a network marketing deal (which happens to be your best prospects, by the way) generate leads online… and you create a marketing message designed to attract these frustrated networkers, perhaps something like “Need leads? 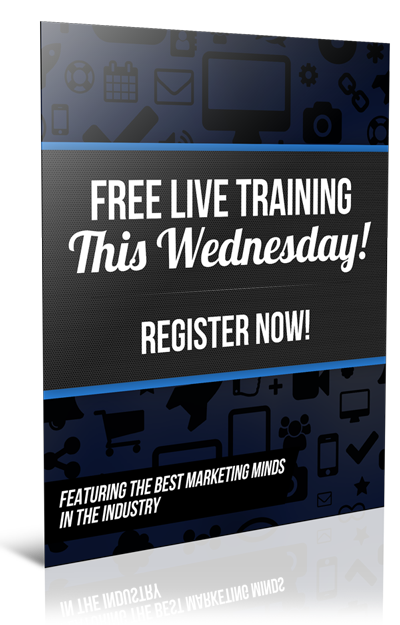 The proven system guarantees to help you create leads on demand even while you sleep? – and you promote this message far and wide. What you'll find is YOUR PERFECT PROSPECTS will actually respond to this message because you are tuned into the radio station WIIFM and you are offering them value by guiding them to a solution they are already looking for. So you LEAD with value and many of them will BUY this program you are promoting. This puts cash in your pocket right now… AND adds to your list of hot prospects and, later, as you continue to provide value… you eventually ask if they are making any money doing what they are doing and let them know you ARE making money and you would be more than willing to help them make money as well – and NOW you guide them into taking a look at your primary. And if they say no… who cares? Because you have already gotten paid. By leading with a funded proposal or two or three – you are now building a business and not just a downline. You are now marketing versus prospecting and will find not only can you significantly reduce your marketing costs, you can completely eliminate them and even create multiple profit centers along the way. The goal of MLM marketing is to make a person-to-person connection. You cannot hope to build a profitable business without connecting with people. You can't build a profitable business on complete autopilot hiding behind your computer. 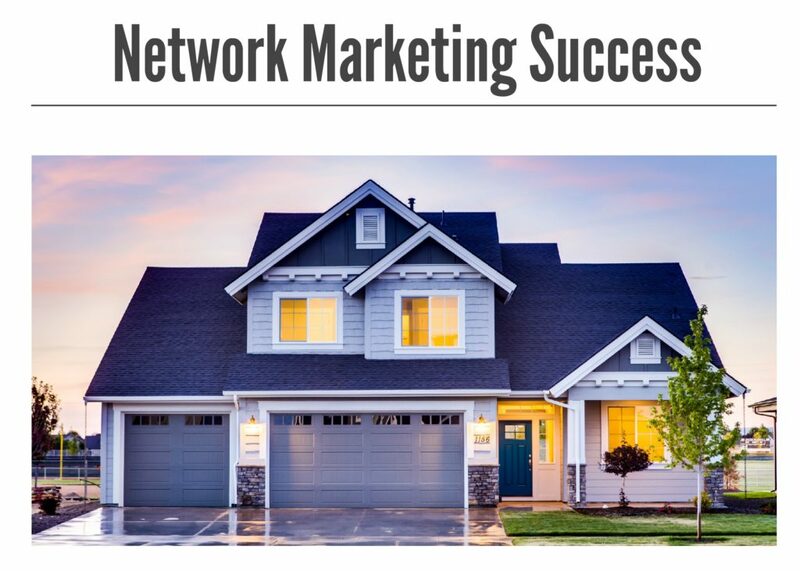 Network marketing is all about connecting with people, guiding them to a simple presentation and following up to enroll them. Those are the nuts and bolts. But your wealth will come in when you TRAIN and LEAD your team – which requires person communication. If you don't like people are don't like talking with people – seriously, you are in the wrong business. Bottom line. Because sponsoring and recruiting and leadership development is where you will find your fortune. Lead prosperity leads to prosperity and marketing is what fills the funnel – but making those personal connections is where you make all the money. Everything we've talked about so far can be created by you, but why waste time when you can leverage field tested lead generation systems and funded proposal models have already proven to work? Why try to reinvent the wheel when network marketing success leaves clues… great big giant footprints in the snow that make it incredibly easy to follow? Why spend time learning how to build a website or a blog, write headlines and offers that convert, and scour the internet looking for programs and offers that make sense to your target market… when you can just plug into a proven program? And finally, you will put the odds of success greatly in your favor when you realize the secret is to MASTER MARKETING (versus prospecting)… and teach your new team to do the same thing. Simple systems duplicate and when you realize that everyone will eventually run out of warm marketing contacts… you have to put yourself in a position of being able to answer the “NOW WHAT DO I DO?” question. Learning how to generate leads on demand and how to use systems to sift and sort and qualify these leads effectively… and how to fund your business by leading with funded proposals… and THEN being able to share these secrets with your new team are all critical to your success. Get it right and you will write your own 1st class ticket to the dream life. Guaranteed. Tomorrow we will talk about the magic of attraction marketing and what it means to market versus prospect. Pretty exciting stuff. We'll see you tomorrow. Live Happy, Stay Young, Inspire Other!